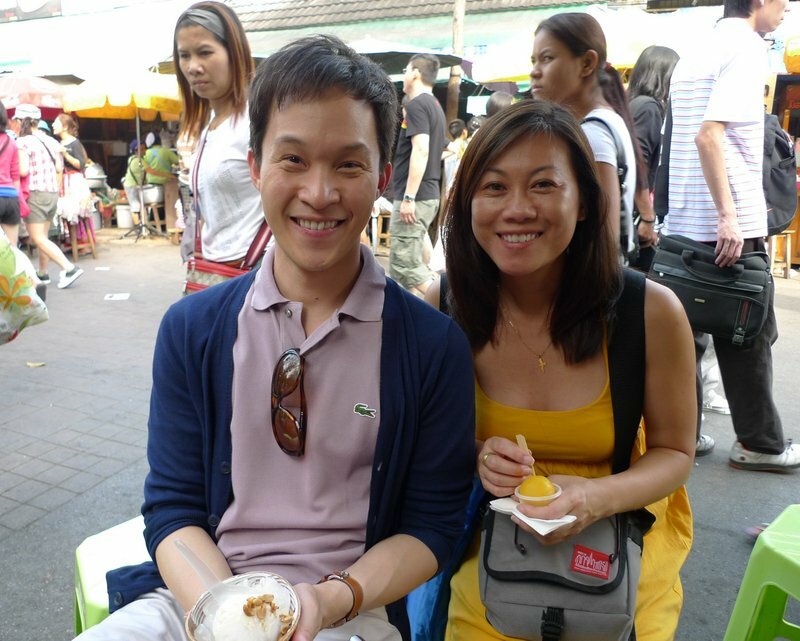 This entry was posted in Uncategorized and tagged Chatuchak, Design, Jatujak, JJ, Market, TShirt, vendor by christao408. Bookmark the permalink. I like that shirt too!! 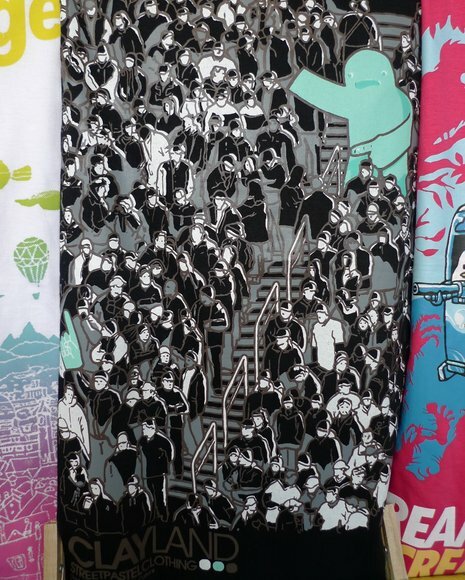 love da t-shirts… so creative i heart original artwork! The foam hand one is hilarious! I like your sense of humor! I do agree the elephants and giraffe tee is worth spending $ on!! Those shirts are cool! 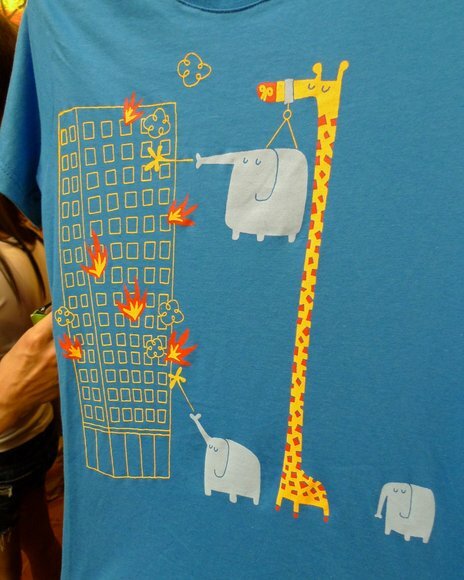 Yeah, the elephants and the giraffe look proud. I love, love, love the giraffe and elephant shirt. That is so unbelievably cute! Good choice in picking up the cut t-shirt. I got a few here in india. One of them, with just an outline of a bald man with glasses, and in just a loin cloth, and a long walking stick, ( Gandhi ), and a caption that says, ” keep walking.” is my favorite. I might take pictures of some of these t shirts and post them once I am home on Sunday.Leaving for home tonight. I need those shirts now!!! 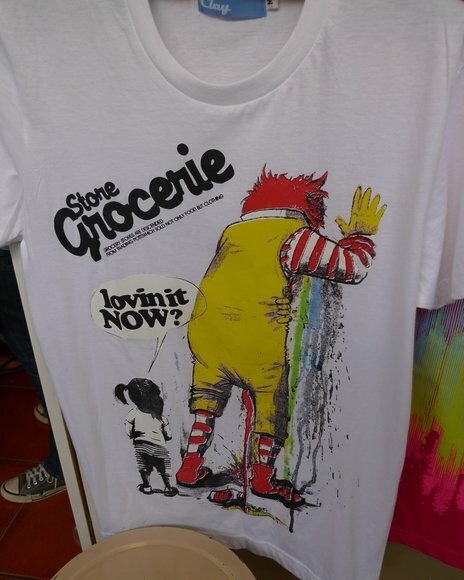 Love that place, they just have awesome t-shirts. I missed visiting the JJ, it was always crowded and the walk from the skytrain station was pleasant. Good choice on the tees! @yang1815 – @Fatcat723 – @Roadlesstaken – @Ikwa – @kenpcho – @m3galomaniac – @Sinful_Sundae – If this were Oprah’s blog, there would be a free t-shirt under everyone’s keyboard. @CurryPuffy – You know, I rarely walk from the skytrain. Usually, I take the subway instead as the station is right inside the market. @ZSA_MD – Oh, do take pictures and share with us. That would be fun! @murisopsis – @stepaside_loser – @TheCheshireGrins – That shirt is so whimsical. @alextebow – I think that one represents some very dark vision of the world! =D@giganticdark – How have you been, stranger? I love the the tshirts! The giraffe tshirt looks like something Sion would have created. LOL “If this were Oprah’s blog, there would be a free t-shirt under everyone’s keyboard.” YOU R SO CUTE heart u… witty man. happy holidays! @christao408 – oh no… I got one of Sion’s tshirts years ago, but the design is now fading.